After Assembling at Amar Niwas (A Beautiful Colonial Bungalow), where the Guests are been briefed about the British Rule and the Colonial face of Agra with Hi-Tea along with the family of Late Major Amar Singh who served in the Royal British Indian Army .The tour is been done partly by Car or Coaches for groups and some stretches are done on foot to experience the exotic Colonial buildings of Agra. The buildings which are been visited in this ride are as under. 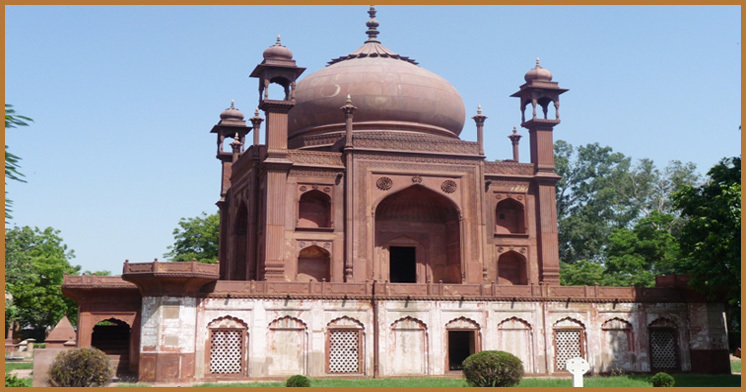 As you walk through the Agra cantonment, you’ll see plenty of private bungalows built in the early 19th century, all with the low domes, the large semi-circular arches and the porches common to the era. 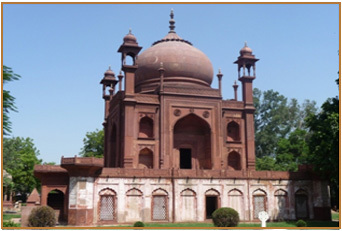 like all other aspects, colonization of Indian also had an impact on architecture style. With colonization, a new chapter in Indian architecture began. The Dutch, Portuguese and the French made their presence felt through their buildings but it was the English who had a lasting impact on architecture. One of the earliest—if not the earliest—evidences of a European presence in Agra is the Roman Catholic Cemetery, where the oldest Armenian graves date back to 1550. The Red Taj Mahal or John William Hessing’s Tomb was built by his wife in the memory of her husband.The Roman Catholic cemetery Probably is the oldest Christian cemetery in northern India.The cemetery is a protected site,There are so many early European travellers and adventurers buried here.The grave stone are kept clean and most of the inscriptions are readable.In 17th and 18th centuries, the Agra was considered bless place by Christians and the dead were brought here different places to bury. There is the grave of Jerome Veronio, It is believed that he had a hand in designing the taj, modelling it on Humayun’s tomb in Delhi. Actually there is no proved evidence that Veronio designed the taj. The Italian Lapidary,Hortenzio Bronzoni graves lies at a short distance from Veronio. There are over 80 old Armenian graves in the cemetery. 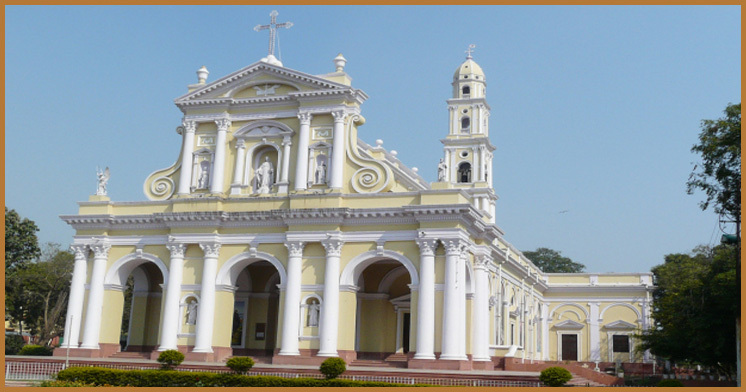 In the Mid 16th Century, the Emperor Akbar had welcomed the Jesuits into his court, and they had built a church in the northern part of the city. 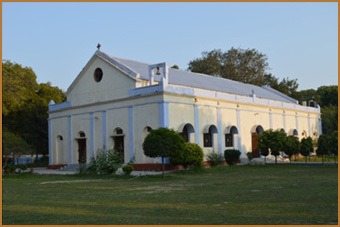 The church was destroyed during the reign of Akbar’s grandson Shahjahan, but one of Agra’s oldest churches arose in 1772, the building today known as Akbar’s Church. 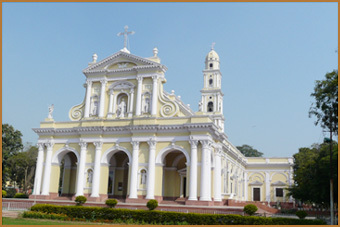 The St George’s Cathedral located in the Cantonment. 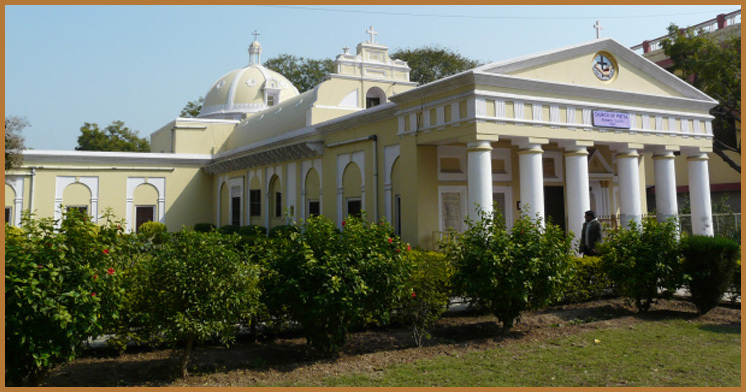 Designed by Colonel J. T. Boileau, the Garrison Engineer of the cantonment in 1826, it is a beautiful building of yellow ochre stucco with white dressings. The church is conventional and restrained, the entrance being approached through a small vestibule with inches. The interior is divided into a central nave and side aisles by six Ionic columns carrying a slightly vaulted roof. The chancel at the east end has been Gothicized at a later date with a carved white sandstone screen and the altar was enriched with the marble inlay work, for which Agra is famous. 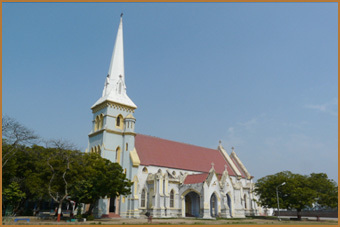 In Wazirpura, the Roman Catholic Complex appeared, centred round the imposing baroque Cathedral of the Immaculate Conception, which was built in 1848. 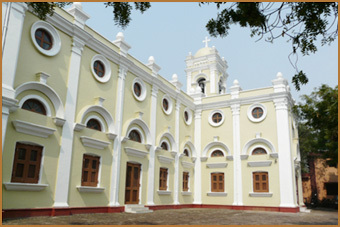 Five years earlier—in 1843—St Patrick’s School had been built nearby (it is today separated from the cathedral churchyard by a wall painted over with instructions on how to perform various yogic asanas, along with accompanying illustrations and details on the illnesses they can help cure). 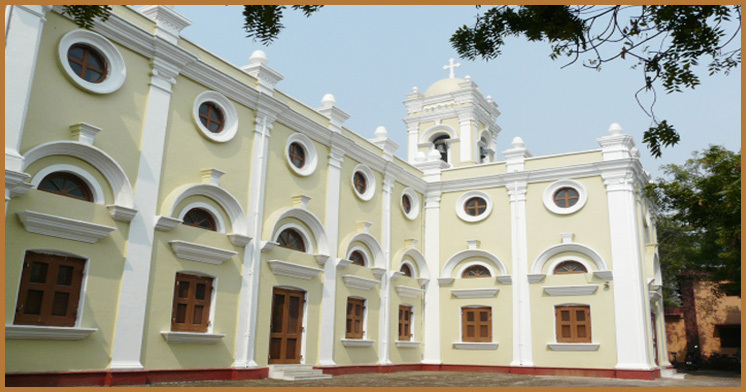 If you go down the lane between the school and the church, you’ll come to yet another building from the 1840’s: St Peter’s College, a well-maintained and striking building, with long arcades spreading out from an ornate central porch. 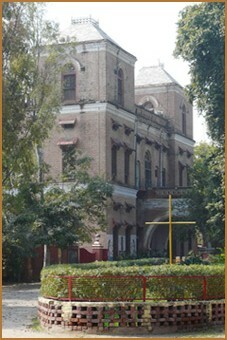 St. John's College, Agra, was established in 1850 by the Church Missionary Society (CMS) of England, along with Agra C.M.S. Association, and its first principal was Rev. Thomas Valpy French (1825-1891), a fellow of University College, Oxford. 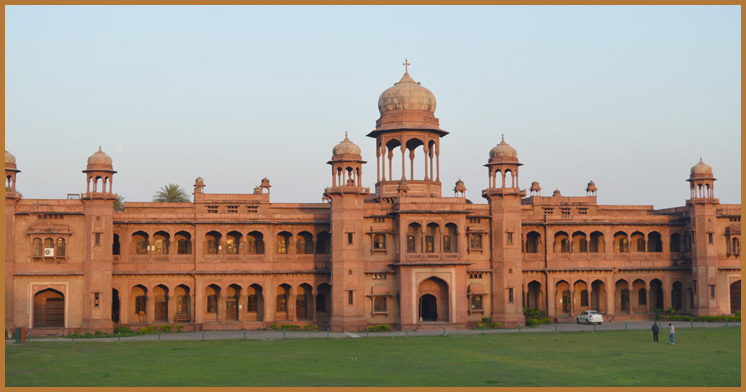 In 1869-70, it had 297 students, out of which 199 were Hindus, 76 Muslims, and 22 Christians. In 1914, Sir Swinton Jacob designed the part Gothic-part Rajput red sandstone pile known as St John’s College (the college itself had been established more than half a century earlier, in 1850). Queen Victoria School was Built in the 19th century to promote education among the locals , it’s a wonderful Building which brings back the memories Victorian architecture and castles in your mind. 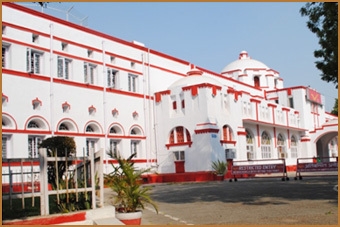 In 1905 the art deco building of the Post Office was constructed in the cantonment. 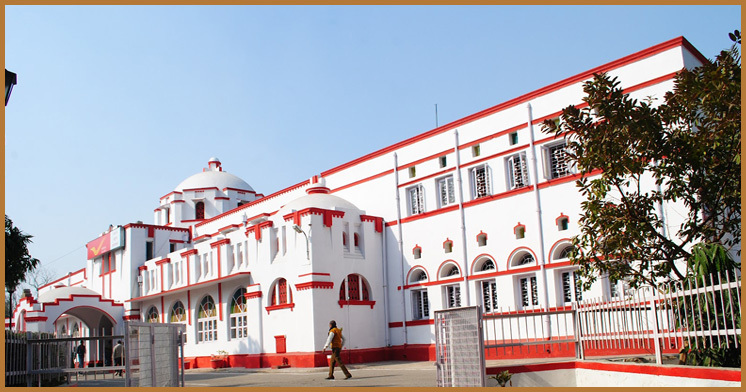 It’s a well-kept structure, painted a crisp white, with a deep red trim that echoes the official colours of India Post. The large arched windows, the shallow dome on top, and the somewhat fussy pillars and niches and narrow windows that punctuate the facade are all quite quaint, and the fact that this is a public building means it’s accessible to all. Near the Post Office is another building worth a look, if only for the history. This, just behind the Post Office, is St. Mary’s Church, a Catholic church commissioned by the John family. The Johns were descended from a Greek diamond merchant named Joanides; the Johns themselves went on to become important industrialists in Agra, owning what came to be known as the John Mills along the bank of the Yamuna. St Mary’s Church isn’t as splendid as the Cathedral of the Immaculate Conception, but with its distinctly Italianate facade (topped by a crucifix and a six-pointed Star of David), in pale yellow and white, is attractive enough. 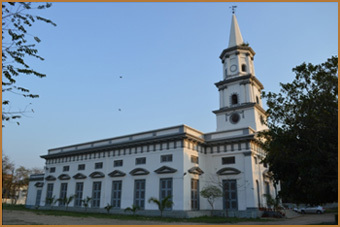 During the British Empire's government, in 1854 S N Medical College was founded for the practice of British military doctors. 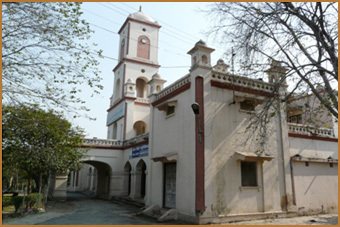 The name of S N Medical College was originally Thomson School, named for Lt. Governor Sir James Thomson, founder of the college. 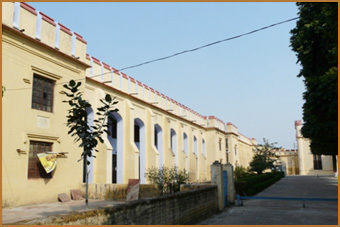 Plans for establishing the school were made by the British East India Company; the maintenance cost was also borne by it. The hospital attached to the Medical School was known as the Thompson Hospital. Sir George John, who was the grandson of Antonius Joanides, a Greek merchant, better known by his Anglicised name of Anthony John. 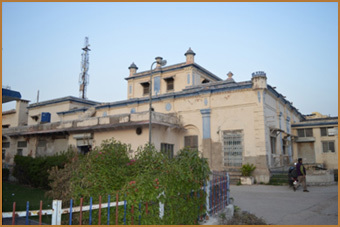 Sir George's elder brother, Sir Edwin John, built spinning and weaving mills at Delhi, Meerut, Agra and Lucknow after the death of his father, Nicholas John. 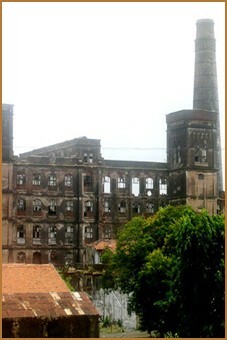 The mills established by the latter in 1887 were languishing when Sir Edwin and his brothers, George and Major Ulysses John, began to revive them and set up new ones. 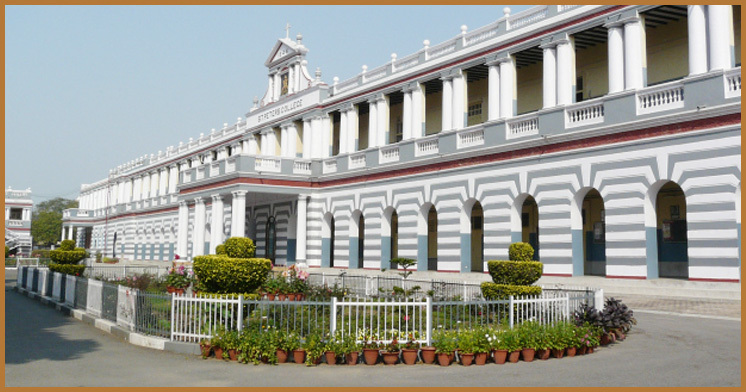 The Agra College (founded in 1823; the first buildings were designed by John Theophilus Boileau) are among the best-preserved and prominent examples of colonial architecture. 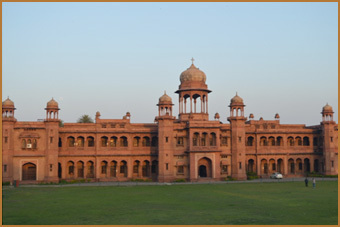 Agra College is one of the oldest institutions in India. 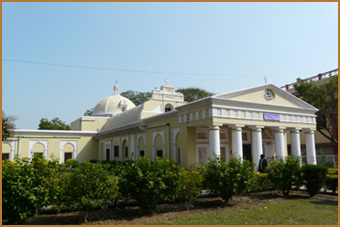 Pandit Gangadhar Shastri, a noted Sanskrit Scholar founded the college in 1823. 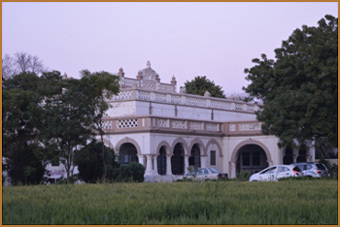 Till 1883 the institute was a government college and after that a Board of Trustees and a Committee of Management managed the college. 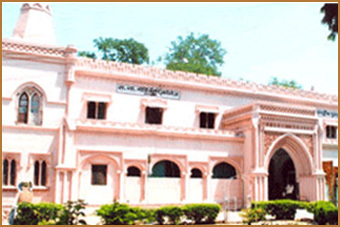 Agra College produced the first graduate in Uttar Pradesh and the first Law graduate to Northern India. 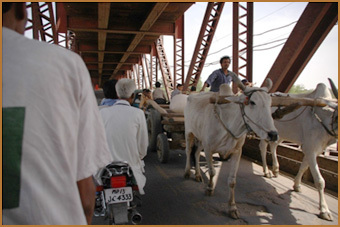 The century-old Strachey Bridge was accomplished by the The East Indian Railway Company, later known as the East Indian Railway (EIR), introduced railways to eastern and northern India The company was established 1 June 1845 in London by a deed of settlement with a capital of £4,000,000, largely raised in London. The first telegraph line in India was laid from Calcutta to Agra. 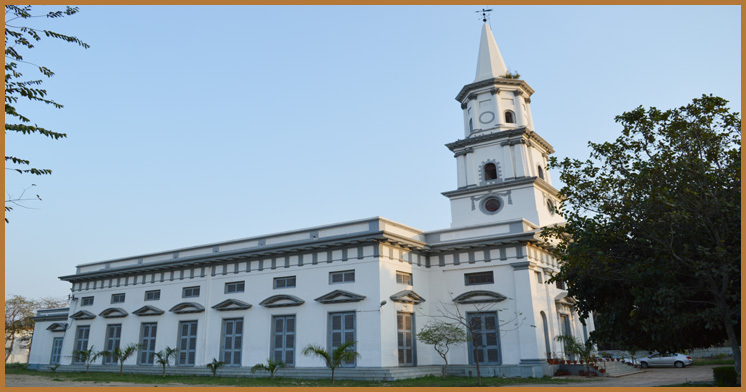 The work connecting Agra and Calcutta telegraphically was started in Nov 1853 ,and the work was completed in March 1854. The first telegraphic message was exchanged between the capital of India and capital of north west province on March,25 1854.it took One hour and fifty munities for the message to be converted from one end of the wire to another. This tour takes about 4 hours covering Approx 10 km major part of the tour is done by a Car or Bus for big groups , after completion of the tour the guests are being dropped back to Amar Niwas where the tour ends with refreshments along with the Host family.